In the market for a new sedan? If so, take home a new 2018 Kia Optima! This midsize car brings convenience, value, and luxury into the lives of its drivers. Learn more about what the 2018 Kia Optima can offer you by reading on. The 2018 Kia Optima is available in five different trim levels. Select the base level LX for the greatest affordability, as well as stellar standard features, such as Apple CarPlay and Android Auto. The next trim level, the LX 1.6, offers a turbocharged 1.6 liter inline four engines for some extra strength and capability. Upgrade to the Optima S for a sporty touch, or the EX for a luxurious touch. To get it all, the final trim level is the SX and it combines convenience, with luxury, with athleticism. Kia has several new things in store for the 2018 model year Optima. For example, a 7-inch touchscreen is now standard for all trim levels. The touchscreen works alongside Apple Carplay and Android Auto, allowing drivers to sync their smartphones to their vehicle for convenient and hands-free use. Plus, the touchscreen also offers music streaming or radio, GPS navigation, and so on. For car buyers who prioritize safety, the 2018 Kia Optima comes with available safety technology systems. These systems allow for increased peace of mind for those behind the wheel. The 2018 Optima comes standard with blind spot monitoring with cross traffic alert and rear parking sensors. To see the 2018 Kia Optima for yourself, come see us at Sunshine Kia of Miami! Our new and pre-owned Kia dealership is home to the Optima, so give it a test drive at our location! Find us at 17120 S Dixie Highway in Miami, Florida, or contact Sunshine Kia by phone at 855-288-7738 for further details. We hope to show off the 2018 Kia Optima to you soon! 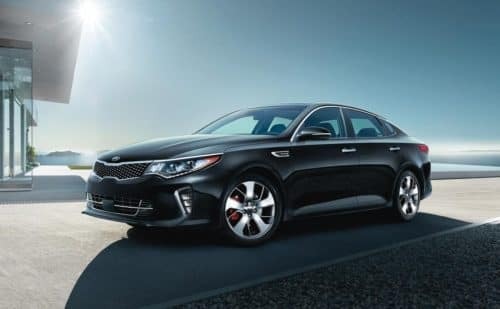 To see the 2018 Kia Optima for yourself, come see us at Sunshine Kia of Miami! Our new and pre-owned Kia dealership is home to the Optima, so give it a test drive at our location! 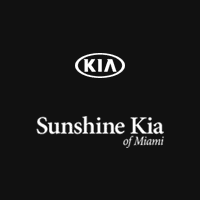 Find us at 17120 S Dixie Highway in Miami, or contact Sunshine Kia by phone at 855-288-7738 for further details. We hope to show off the 2018 Kia Optima to you soon!